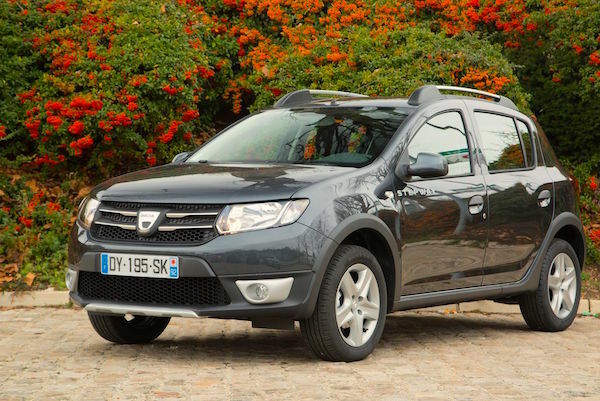 The Dacia Sandero is the favourite nameplate with French private buyers this month. The French new car market posts another robust month – at least on paper – with sales up 6.5% year-on-year to hit 181.830 units, the best April tally since 2010 (190.986). This improvement relies once again on company sales (+10%) now accounting for 21% of the total and most strikingly short-term rental sales up 12% to 17% share at 30.693 units. Private sales are up a more reserved 4% to drop to a lowest-ever market share of 48% at just 86.749 deliveries. More worryingly, the booking orders remain frankly below the actual market growth, indicating low-profit bargain sales from manufacturers. Booking orders were at +1.3% in April vs. +1.1% in March (market at +7.5%) and +1.8% in February (market at +13%). 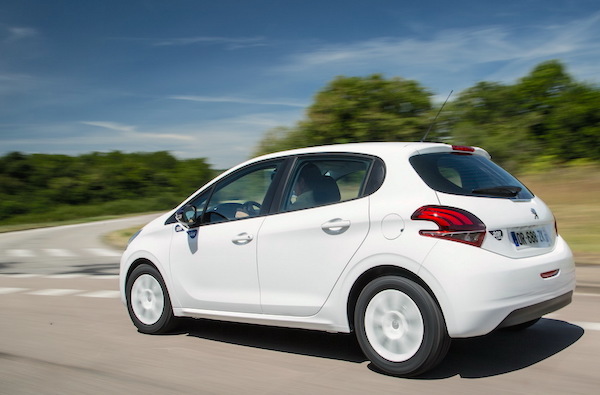 The Peugeot 208 is up 22% at home to snap the pole position off the Renault Clio. Renault leads the brands charts thanks to sales up 8% to 35.721 and 19.6% share, handicapped by the 11% drop of the Renault Clio – overtaken for pole position by the Peugeot 208 (+22%), as well as the Scenic (-27%) and Twingo (-16%) both losing significant ground. The brand’s recent launches, the Megane IV (#12), Kadjar (#13), Espace (#29) and Talisman (#39 above the VW Passat) are all either at or above their year-to-date levels. Traditionally used to “healthy” gains, Peugeot’s growth this month (+7% to 17.1% share) is only due to short-term rental sales (+59%) while private sales are down 3.5%. The 308 is also up 5% to #3 but the 2008 is down 6% to #6, awaiting its facelift for H2. Although weak (+1.4%), Citroen’s gain is satisfyingly built on private sales (+9%) whereas short-term rental sales are down 19%. Volkswagen is stable in 5th place (+0.2%) but sees the Golf (+21%) and Polo (+18%) deliver strong gains – they are the only two foreign nameplates in the French Top 16 in April. 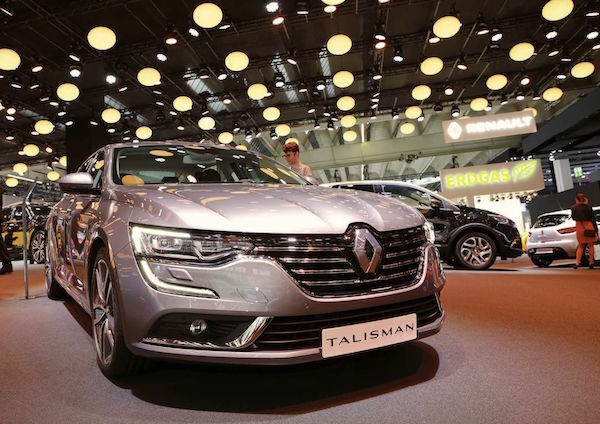 The Renault Talisman remains above the VW Passat but below the Peugeot 508. Although Dacia’s performance appears very shy (+0.6%), its April 2015 score was extraordinarily high due to late 2014 deliveries and as a consequence Renault’s low-cost brand hits a very strong 6.2% market share this month, placing the Sandero at #5 and the Duster at #10. The big event in April is the Sandero’s frank pole position in the private sales segment: with 5.288 deliveries and 5.9% share, it distance the Peugeot 208 at 4.095, the Renault Captur at 4.041 and the Renault Clio at 3.594 (-25%). Year-to-date, the Sandero is now threatening the Peugeot 208 for the overall top spot at 5% share (+20%) vs. 5.2% for the Peugeot (+13%). Reversely the Clio is down 11% to #3 and 4.9% share. French publication autoactu.com notes that the volumes gained by the Sandero with private buyers this year correspond to those lost by the Clio. 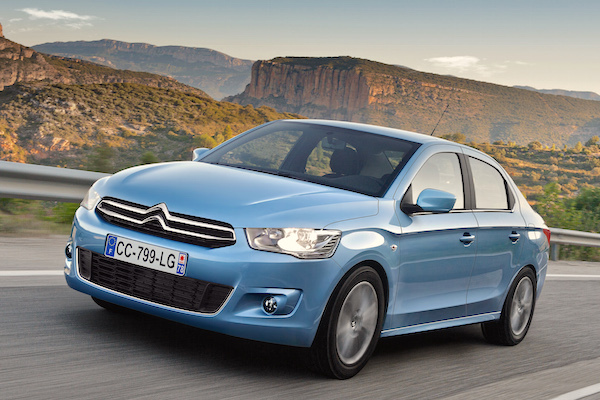 Note the Sandero had never topped the monthly private sales ranking in France before, let alone the annual charts. 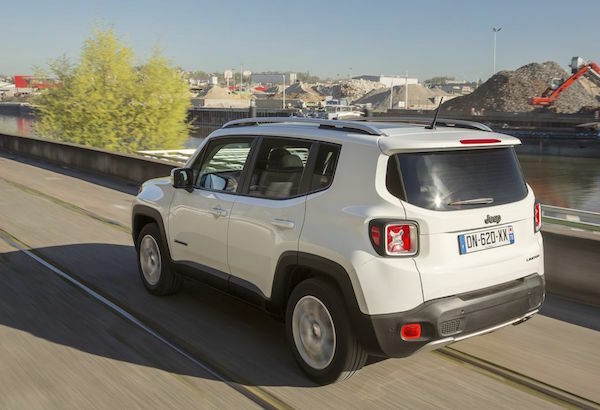 The Renegade is the first Jeep to rank inside the French Top 50 since 1990. Back to the brands ranking where Audi (+9%) leads the luxury segment once again but BMW (+29%) and Mercedes (+23%) are catching up fast. Fiat (+16%), Hyundai (+39% thanks to the Tucson at #28) and Mini (+17%) also post strong gains in the Top 20. Below, Jeep is pushed up 23% by the Renegade breaking into the French Top 50 for the first time (#50). Note also spectacular gains from Mazda (+68% thanks to the CX-3 at #137 and the MX-5 at #168), Honda (+75% thanks to the HR-V at #116), Smart (+41%), Porsche (+35%) and Ssangyong (+147% thanks to the Tivoli). The Infiniti Q30 is headed towards the Top 100 which would be a first for the brand in France. 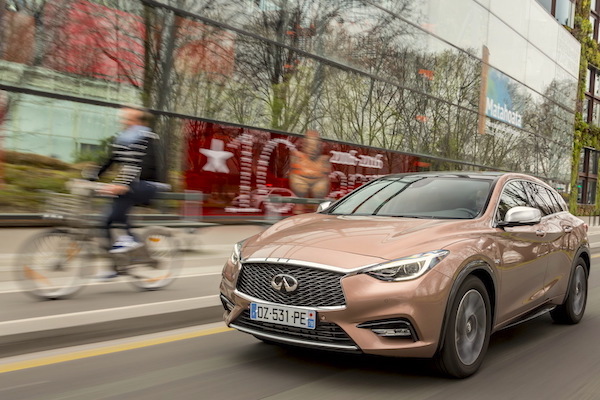 The Infiniti Q30 takes the brand to never-seen-before heights in France and has definitely hit a nerve with local consumers: it is up to #113 in April with 322 sales, boosting Infiniti up 279%. It goes the same for Jaguar whose XE (#165) and F-Pace (#193) are unlocking untapped potential, boosting the brand up 295%. Other recent launches making themselves noticed include the Fiat Tipo up 30 spots to #148, the Suzuki Baleno up 88 to #159 and the Citroen e-Mehari up 29 to #177. Citroen would rather you don’t know the C-Elysee is now available in France. So we’re telling you. Finally, faced with competition from the Fiat Tipo adding to the longstanding success of the Dacia Logan, Citroen has decided to officially launch in France the C-Elysee, present since 2012 in markets such as Portugal, Turkey, Russia, Maghreb or China. But the manufacturer is ashamed of this launch and hasn’t advertised it at all, as if it was a sin to dabble in the low-cost segment. It’s actually a rather smart move that is coming way too late. So we’ll take it upon ourselves to shine a spotlight on this new arrival – albeit present in the ranking for a while due to demo sales headed to other parts of Europe. The C-Elysee ranks #212 this month with 41 units sold. Still a long way to go to match the success of the Logan (#80) or even Tipo. One year ago (Q1): France 1st Quarter 2015: Artificial recovery? Full April 2016 Top 50 All-brands and Top 300 All-models below.